After a month with the Ertiga, what I’m beginning to realise is the immense practicality that a well thought out MPV like the Ertiga offers. This became very evident to me during two instances last month. First instance was a long road trip that I had to undertake for my cousin’s wedding. Not only did the Ertiga have enough space for me and my family but, once we reached the destination, it also became the default choice for ferrying people from the hotel to the wedding venue and back. Its seven seats made it the most practical car present there. The second instance was when I had to take my kids and a few of their friends out on a picnic. We easily fit in six children and one adult – me – in the Ertiga. Both times, I also realised that the suspension setup of the Ertiga delivers commendable ride quality. Its 1.5-litre petrol hybrid engine also surprised me with efficiency figures hovering around the 16km/l mark. In today’s world where diesel and petrol prices are not so far apart, the Ertiga with its efficiency levels makes a serious case for itself over a diesel car, especially if you don’t drive too much. The extra expense of buying and maintaining a diesel car is simply not worth it. 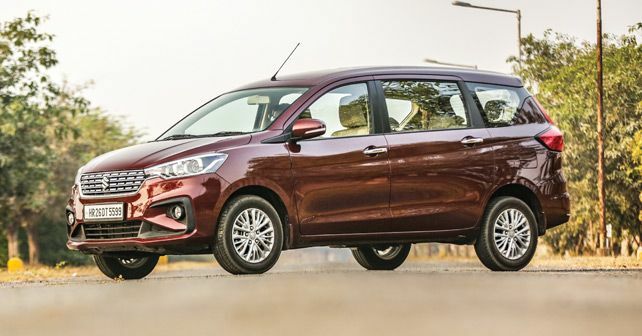 And while I might keep cribbing that it’s not an SUV, the fact of the matter is, for its size, the Ertiga is the most practical product you can buy in today’s market.